100th Grey Cup Train is a fun CFL history lesson. Those who are diehard fans of the Canadian Football League will likely know a fair bit about the history of the league. 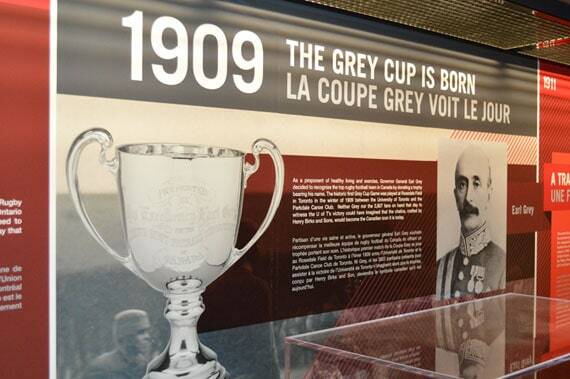 For those new to the game, or the casual fan, the Grey Cup 100 Tour Train serves as a travelling history lesson of the game and the league so many of us love. Starting its 40 plus stop journey across the country in Vancouver, the train celebrates the past while also focusing on the current stars of the game, effectively captivating fans of all ages. It is beautifully wrapped with the 100th Grey Cup logo and stars of the league such as Travis Lulay, Anthony Calvillo and Fred Stamps. The 100th Grey Cup stamp collection is also prominently featured in the design. There are two sections to the train, one focusing on the Grey Cup itself, while the others celebrate the rich and storied history of the league in a museum type setting. On the Grey Cup car, fans can hear the motivational speeches of Grey Cup coaches as they prepare their teams for battle. Interactive touch screen displays allow fans to pull up the name plates of every championship team in the history of the trophy, or browse a fan photo montage. The rings of past champions are prominently displayed. The Grey Cup itself awaits visitors at the end of this car. Fans can have their picture taken with the trophy and have it receiver it by e-mail. The history cars take fans from the beginning in 1909 and its eastern roots, to the inclusion of the west and right through to the present day. You can learn about the league during war time, the depression and about classic clashes like the Mud Bowl, the Fog Bowl and the Snow Bowl. (Why don’t they call them cups?). Did you know the price of a Grey Cup ticket in 1971 was $15.00? There is another car (which I apparently wasn’t supposed to be in) that will cater to VIP’s and sponsors along the journey, complete with a bar. I did envision myself travelling to Toronto in November on the train. Oh what a party that would be as we picked up fans on our journey east! Even as a major CFL fan, there were several stories I wasn’t aware of before touring the train, so there is definitely something for everyone on board. In addition to the train itself, there is a festival type atmosphere at the event. There was a strong presence by the Lions who had current and former players signing autographs. There were interactive football type activities for the kids and live music as well. 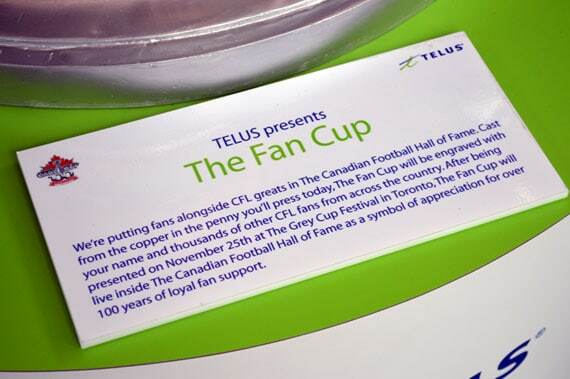 One of the coolest ideas to come from this tour is the Fan Cup presented by Telus. Fans can sign up and have their name included on new trophy to be called the Fan Cup that will eventually reside in the Canadian Football Hall of Fame in Hamilton. 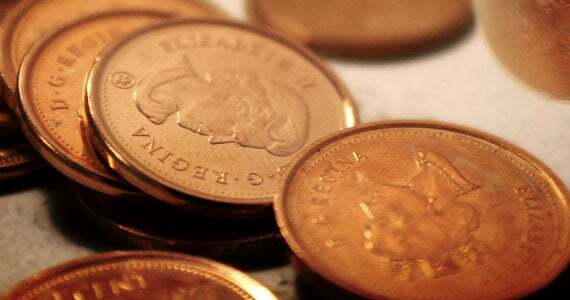 Telus has come up with a penny press that turns your penny into a keepsake, while ensuring a piece of your penny will be used to create the new cup. The whole process takes a while, so be prepared to stand in line for a bit. 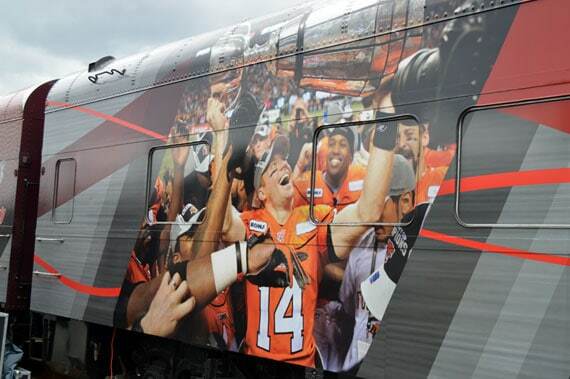 The train is a great way to celebrate the 100th Grey Cup Championship and the history behind it. In addition to the scheduled train stops the Grey Cup will also make several other appearances in communities all over the country, leading up to the big game in November. The cup itself will make a total of 100 appearances by the time the tour is done. Get out and see it when it comes to your community and celebrate the storied 100 year history of the Canadian Football League!